An immense program was started by then U.S. President Franklin D. Roosevelt to revive the country, rebuilding America. Since then nothing much happened. President Obama was blocked in Congress to rebuild the crumbling infrastructure, “to limit government spending, public debt and federal budget deficits”. Then people blamed him for not doing anything. The next president promises to spend US$ 1 trillion to repair the infrastructure. That probably is far from enough. How he will get the money (while lowering taxes!) is a wild guess. Can anyone name even one infrastructure project from President Obama’s $800 billion American Recovery and Reinvestment Act? I didn’t think so. In fairness to Mr. Obama, Republicans in Congress bitterly opposed his public works spending plans, and he lamented there were too few “shovel ready” projects. That didn’t stop Franklin Delano Roosevelt. His Public Works Administration and Works Progress Administration, using combinations of public and private money, solicited proposals from states and cities, hired millions of workers and eventually built 78,000 bridges, 650,000 miles of roads, 700 miles of airport runways, 13,000 playgrounds and 125,000 military and civilian buildings, including more than 40,000 schools — in most cases to high standards of quality and design. When travelling from China to the USA we note the difference: modern and imposing Chinese airports versus decrepit American ones, a real shame for a “world economic giant”. Again, those Chinese airports are not for prestige: they are usually packed. Reason I avoid cities like New York, San Francisco, Los Angeles. Detroit and Indianapolis are a pleasure on the contrary. Not even to mention the many new railway stations in China that look like international airports. 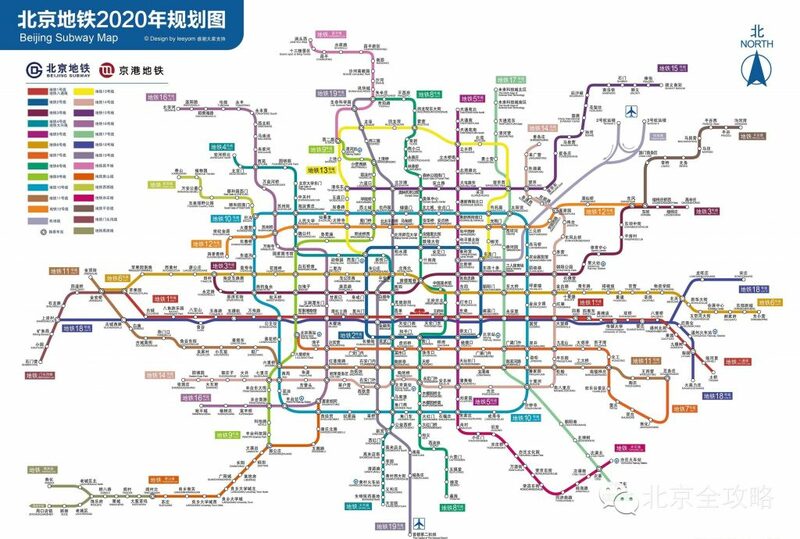 See the 2020 plan for Beijing subways. When I arrived in Beijing in 1980 there were only two lines with old subway trains. Beijing will construct 12 subway lines in the coming five years: the Beijing Rail Transportation Construction Plan (2014-2020) calls for six new subways lines and extensions to six existing ones. The Beijing Subway is expected to reach 1,000 km by the end of 2020. While at times cities like New York need a century to build one subway line, Beijing builds new subways every year. They are modern, efficient, fast and filled to capacity, demonstrating they are much needed. China has been accused to waste money to build highways to nowhere and high-speed trains that nobody uses. Those critics have never been to China it seems, and are clueless about economy. The high-speed trains are often at full capacity and are now competing with air travel. In 2016, 2.77 billion trips were made on the country’s railroads including 1.44 billion trips by high-speed trains. At the end of 2016 China’s rail system had a length of 124,000 km including 22,000 km of high-speed rail. 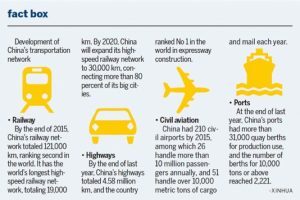 The new and immense network of highways, bridges, tunnels and railways have opened central and West China, changing demographics. It now makes sense for the migrants to return to their cities and for industry to relocate away from East and South China. In the next five years, China will invest 3.5 trillion yuan ($503 billion) to accelerate railway construction, including expansion of the country’s high-speed rail network to 30,000 km. Good infrastructure is a must to have an efficient industry, reduce travel and transportation time and combat pollution. Overall, China did a pretty good job, despite some shortcomings.